Spot your car easily! 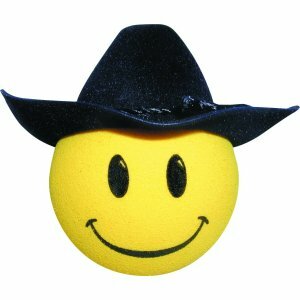 Our Cowboy can be pushed onto your aerial to help you find your car in the car park or purchase a spring separately to turn him into a Wobbler for your desk/dashboard. This Topper is approx 4cm across and is made of high density foam. Suitable for aerials up to 7mm thick. Is your aerial thicker? If it is then please refer to our FAQ's page where we can advise you which of our Toppers are suitable for your car.